When you find yourself looking for a podiatrist in Seattle, the last thing you will want is to go with the first office that you find. It is going to be important that you are able to choose a professional staff and a team that will have the ability to give you all of the care and attention that you need, regardless of your foot or ankle issues. Even if you try to be as diligent as possible about making sure that your child is safe and sound, there will always be instances out of your control where an accident can happen and an injury will take place. Injecting platelet rich plasma into the wound causes the healing cascade to start over again with the inflammatory phase. The whole process can now be completed with total restoration. Our experienced podiatrist will take a look at your ankle to see how the mechanism of it is working and find out whether or not there are previous sprains in your medical history. When you work with our professional team at Mill Creek Foot and Ankle Clinic, you will be able to get the answers that you are looking for in terms of Achilles tendon problems and treatment in Seattle. It can be fairly common for someone to injure their Achilles tendon. Symptoms will often include pain and discomfort and a whole lot of swelling. If you are noticing any of these things, it will be imperative that you look into Achilles tendonitis treatment in Seattle with our staff at Mill Creek Foot and Ankle Clinic. o understand more about the options that you have in acrocyanosis treatment in Seattle, you can talk with our team of professionals at Mill Creek Foot and Ankle Clinic. 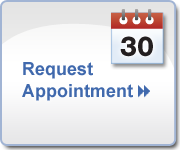 When you make an appointment to see our professional staff at Mill Creek Foot and Ankle Clinic, we will be happy to work with you to help you get the relief that you deserve. If you or someone that you know has been diagnosed with this condition due to alcoholism, it is going to be best that you work with Mill Creek Foot and Ankle Clinic so that you can get proper alcoholic neuropathy treatment in Seattle. If you have been given such a diagnosis during your pregnancy, it is going to be crucial that you learn all about your options in terms of amniotic band syndrome treatment in Seattle. When you are in need of foot and ankle arthritis treatment in Seattle, our team at Mill Creek Foot and Ankle Clinic will be able to help you get the relief that you are looking for. If you want to know more about arch and ball problems and treatment in Seattle, it will be in your best interest to contact our friendly, professional team at Mill Creek Foot and Ankle Clinic. We will be happy to go over what pain you are dealing with and how it could be treated to get you back on your feet. Our team at Mill Creek Foot and Ankle Clinic will be happy to meet with you, discuss whatever injury you have sustained and then work on a course of treatment that will hopefully get you to feeling your best once again. Twisting your ankle or stepping just right and causing a sprain will call for professional ankle sprain treatment in Seattle with Mill Creek Foot and Ankle Clinic. Knowing that you have a major injury to your ankle that will have to be fixed can be stressful enough. However, learning that you are going to have to undergo ankle surgery in Seattle can bring a whole new level of questions and concerns. Arthritis is a condition where there is inflammation building up in one or more of the joints within your body. If you start to notice that you are dealing with arthritis in your feet or ankles that keeps getting worse, you need to seek the help of the professionals so that you can get the proper treatment. Various foot and ankle injuries can be quite common with regular daily activities, wear and tear over time or through some sort of athletic mishap. There are a lot of structures within the foot that can become injured, including the joint lining, cartilage, bone and ligament. Although athlete’s foot can be very easy to prevent if you are proactive about foot care, there can be times that it is very difficult to get rid of once it develops. Even though there may not be a lot of symptoms that are present, there could be a lot of ways that a black toenail can start to pose a problem. A foot blister is a common problem that many people tend to encounter at least once in their lifetime. As a matter of fact, this can be a very common foot condition for anyone who is a runner or very athletic in nature. Call Mill Creek Foot and Ankle Clinic at (425)482-6663 for broken ankle treatment and surgery in Seattle to learn about complications and pain management. If you are ever dealing with persistent pain or your bunion has been getting larger, surgery may be necessary to help remedy the situation at hand. The term “burning feet” is often used to describe a sensation that the feet feel hot to a point where it can become painful. However, some patients will have a wide range of symptoms that could be anywhere from mild to severe in nature. There can also be a number of different conditions that may develop in a patient who is undergoing treatment for another form of cancer. Chilblains are spots on your feet that can be tender and itchy, sometimes with red or purple discoloration. This form of vasculitis is a reaction to cold. There can be a number of causes of a stress fracture, including poor conditioning, bone insufficiency, changes in surface area or even improper equipment or technique. When you meet with us at Mill Creek Foot and Ankle Clinic, we will be happy to go over what happened, as well as give you a physical examination as well as imaging tests to get a better look of the damage. Some babies are born with club defect in both of their feet, as opposed to just one. Clubfoot deformity is one that can cause the heels and the toes of affected feet to twist inward. This can give off the look as though the top portion of the foot is twisted all the way to the bottom. This is a foot condition that is caused by an imbalance in your foot and toe muscles. There can actually be any number of health issues that can be the reason for the development of claw toe, including stroke, brain injury, diabetes, and more. If there is any chance that you may have one of these conditions, we will be able to talk with you about the medical treatments that could be helpful. If you have ever had a sprained ankle that did not heal properly, you could start to notice a good bit of recurring or chronic stiffness and pain that will develop on the outer portion of your ankle. However, there can be a number of other conditions that can lead to the same chronic lateral ankle pain. As an infant, the size and shape of the foot will change rather quickly throughout the first year. A baby’s foot is always flexible, so putting a lot of pressure on the feet can cause strain and even lead to issues with the overall shape. It is crucial that you allow your baby to kick and also stretch their feet as freely as possible.